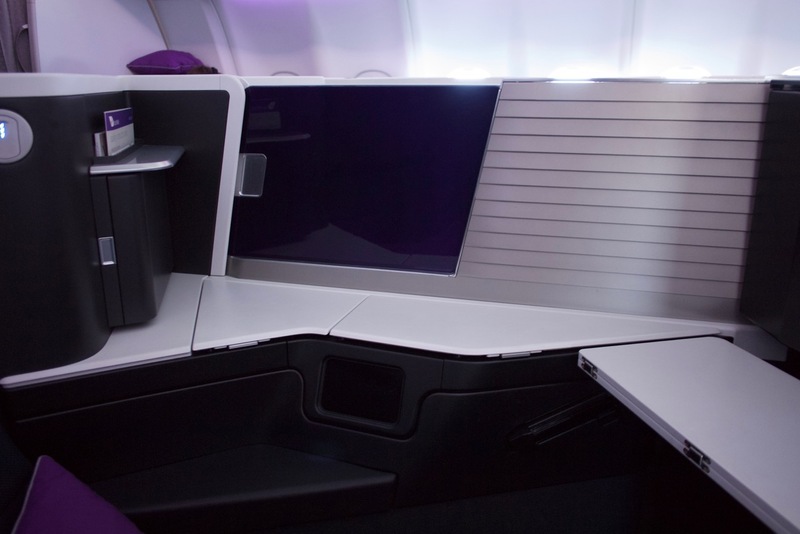 Virgin Australia’s A330 newest domestic Business Class cabin is fast gaining a reputation as one of the best domestic Business Class’ in the world (alongside Qantas). 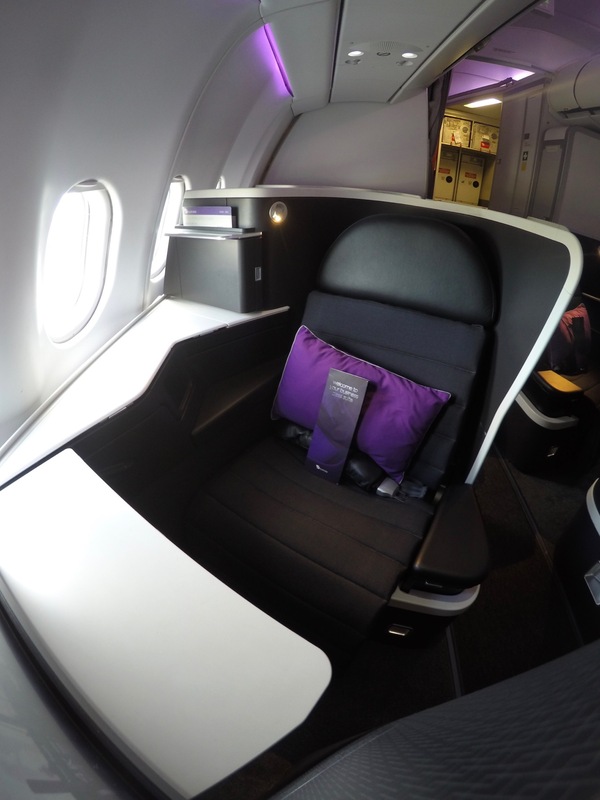 In this overview we’ll cover our experiences, tips and thoughts about Virgin Australia’s Business Class in their A330 fleet, and look at ways to get the most from your experience whether you are redeeming points or paying cash. 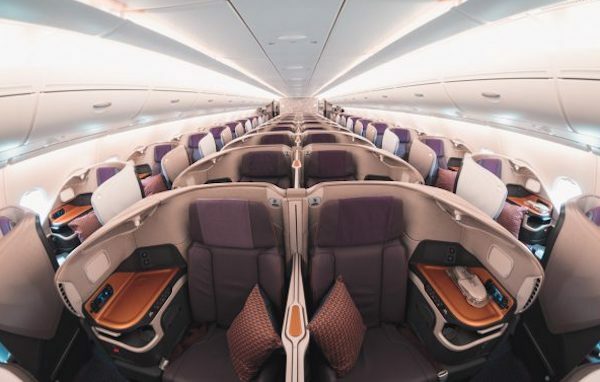 Virgin Australia has 6 Airbus A330-200 aircraft in their fleet which can carry up to 275 passengers across Business and Economy class. 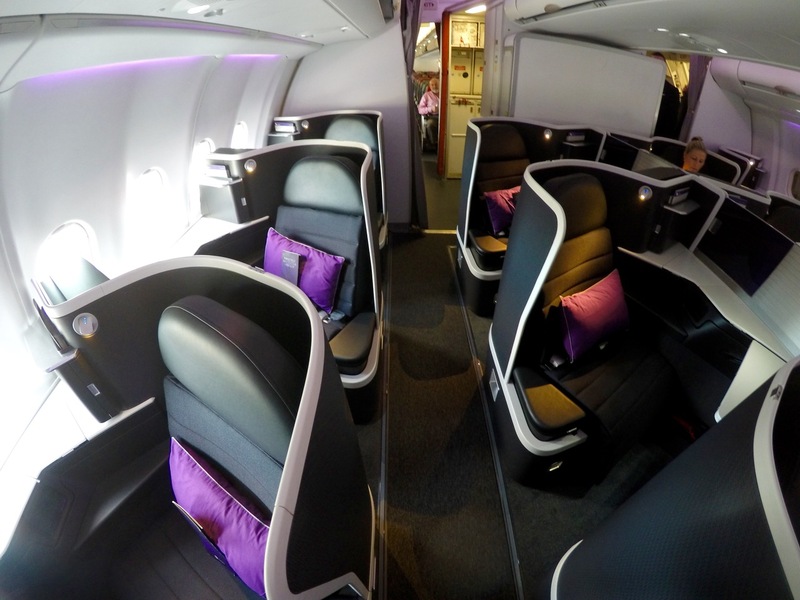 All of Virgin Australia’s A330’s have been refurbished with brand new Business Class cabins and updated Economy seating. The A330 fleet flies on key East to West Coast Australia routes between Perth and Sydney, Melbourne and Brisbane. 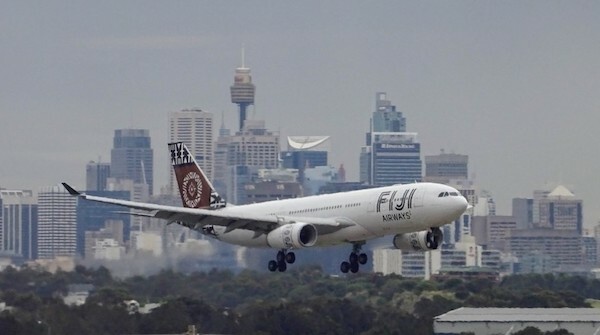 It’s also flown internationally to Fiji from Sydney during Australian winter. 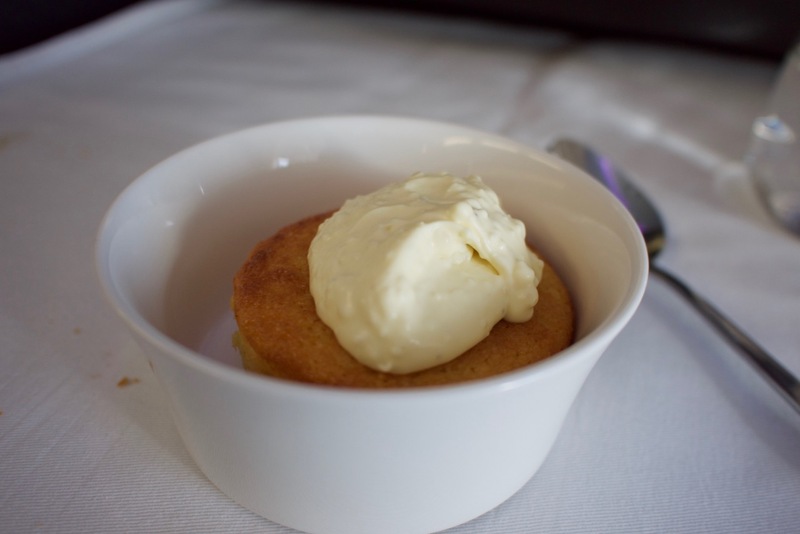 The Fiji service commenced in 2015 and operates one return flight each Saturday. 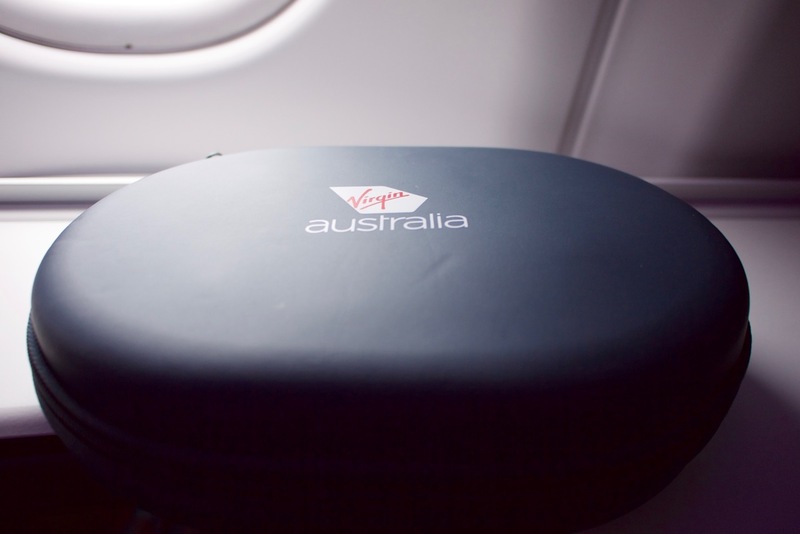 In the past Virgin has occasionally run A330-operated flights between Sydney and Melbourne, but these don’t seem to be in the timeable for now. 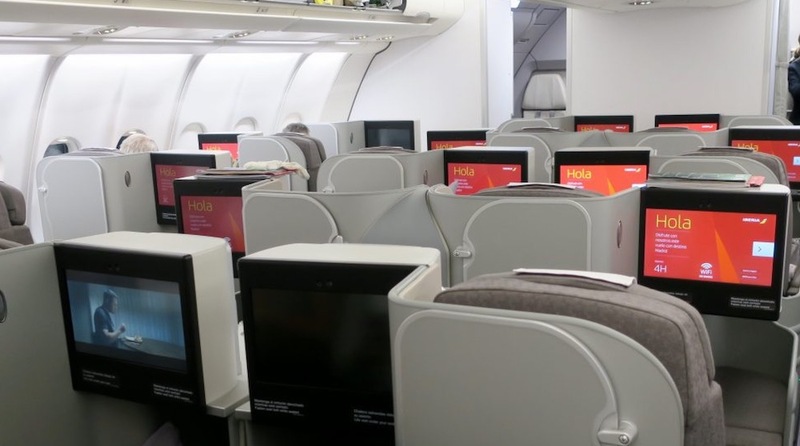 Business Class is dubbed “The Business”, with 20 Business ‘Suites’ in a 1-2-1 configuration, and 255 Economy seats in a 2-4-2 configuration. 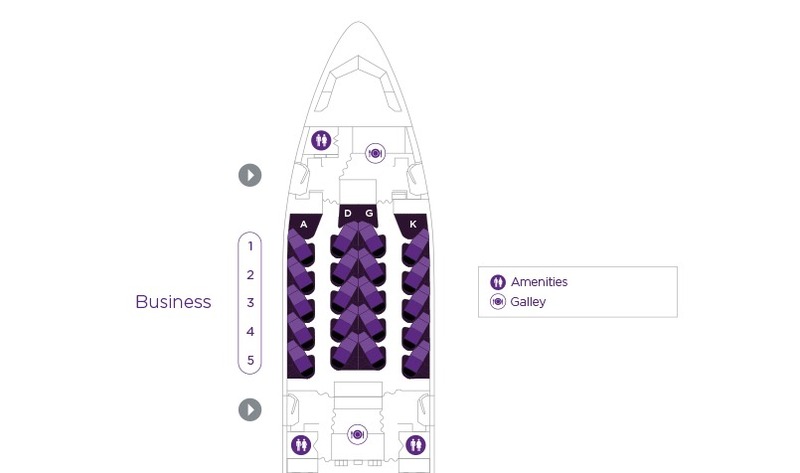 There are 5 rows of 4 Business Class seats each. With this ‘reverse herringbone’ configuration, every seat has full aisle access. They are also all fully lie-flat. 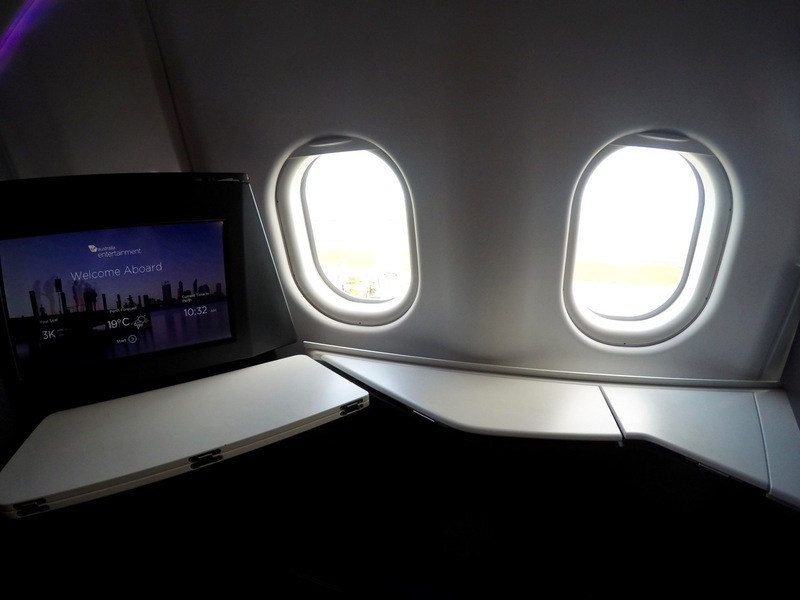 Window seats are angled toward the window which is great for looking out at the view while in flight. Centre seats of course have no window and face inward. 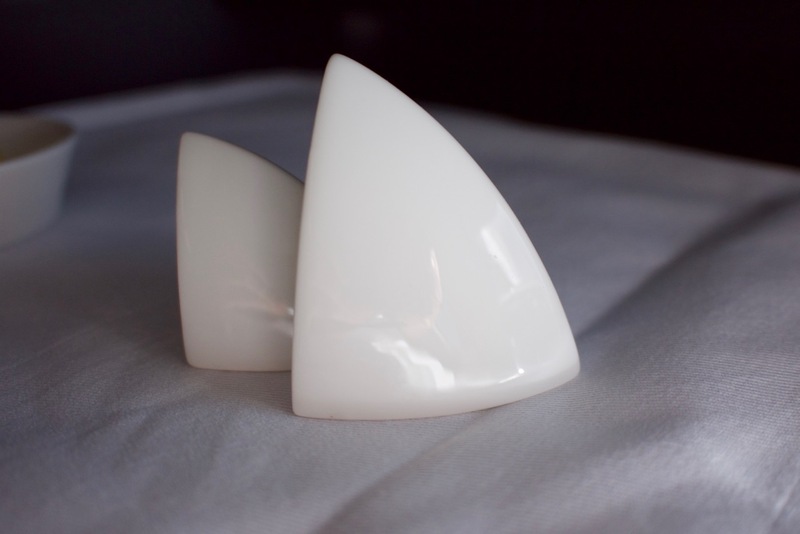 These are better for travelling with a companion that you want to converse with, but do have a privacy divider which can be fully raised if you are travelling solo. 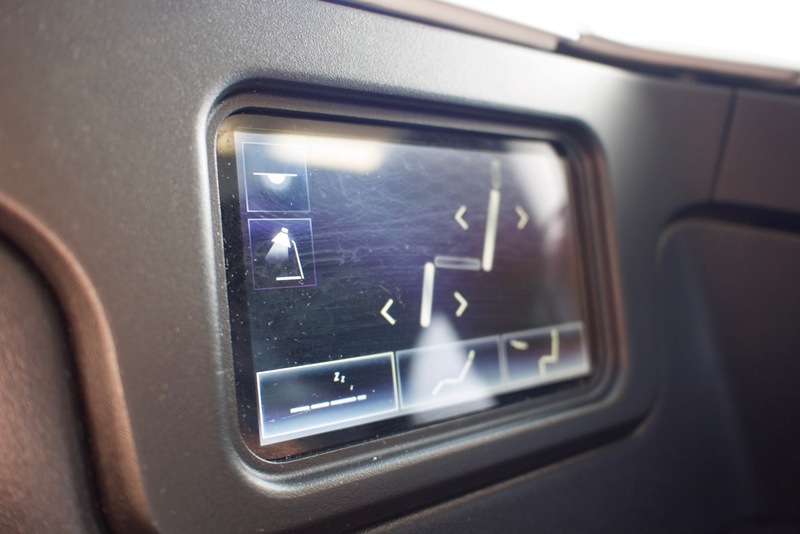 Virgin’s ‘The Business’ Suite turns into a lie-flat bed at the push of a touch screen near your elbow. 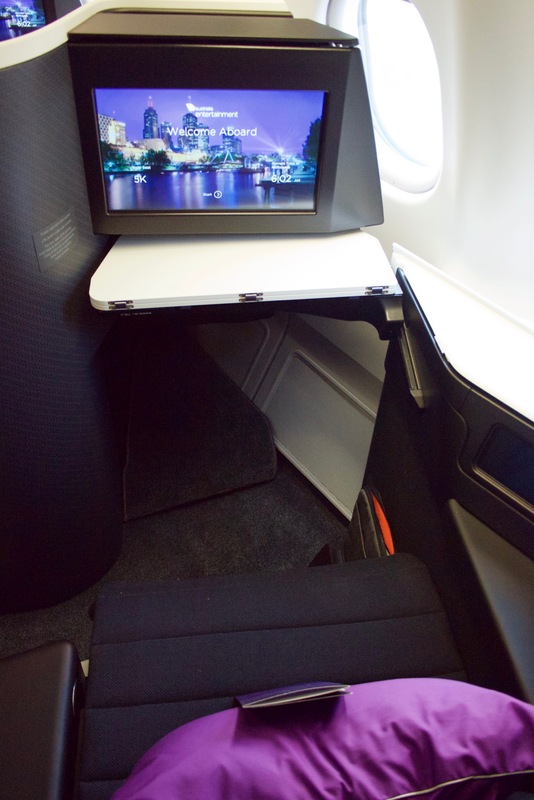 The seat extends and lowers to match the footrest that’s positioned under the inflight entertainment screen in front of you. 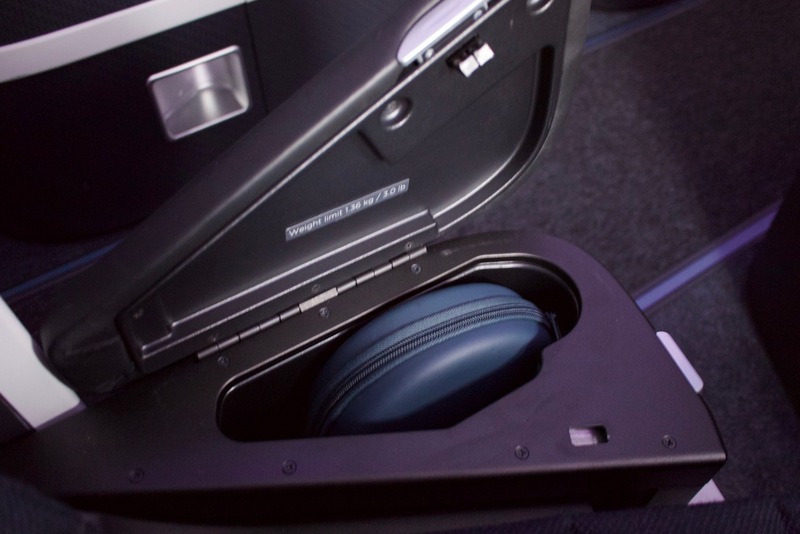 The foot rest is fixed under the entertainment screen in front of you and has just enough room for a small carry on bag or your shoes to fit underneath, though that’s not the most convenient place to put a bag if you extend the seat into a fully flat bed. There’s plenty of small storage places so you can empty your pockets to keep comfortable – in the picture below the two white panels on the right open up. 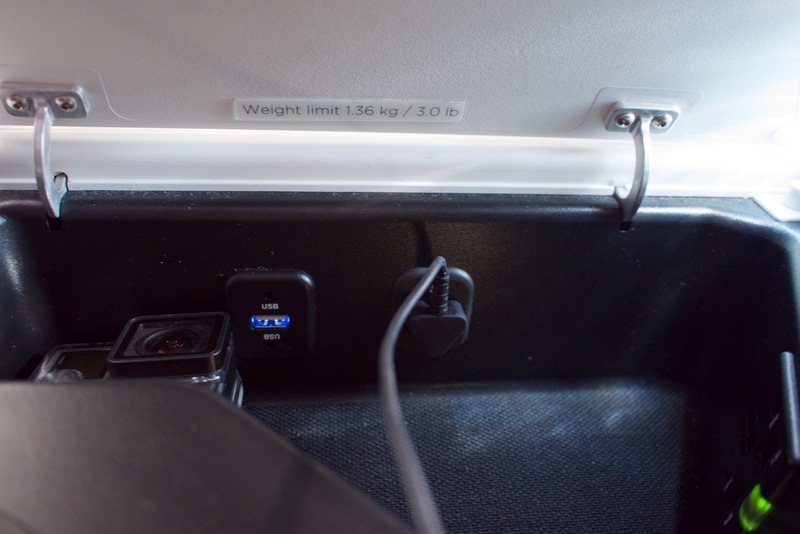 This is where you can also plug in your headphones and USB devices for charging. 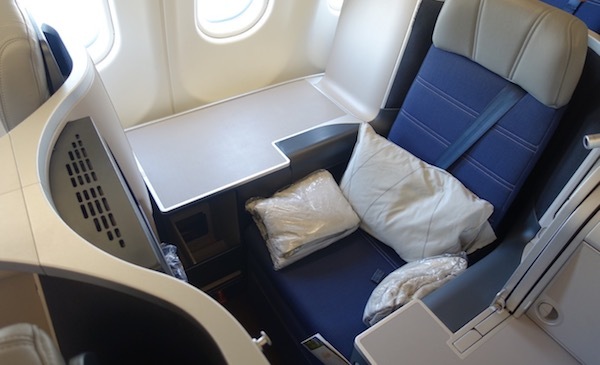 When it comes to choosing a seat, there aren’t particularly any seats worse than others – it’s more about your own personal preference on a few specific different factors. The forward galley is where most of the food preparation is done, so there will be more foot traffic from the crew serving passengers the further forward you sit. 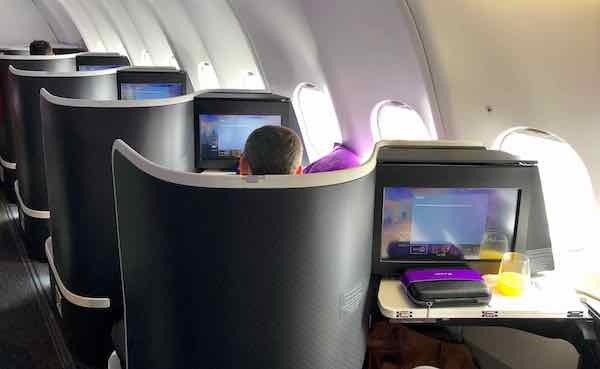 On the other hand, Virgin Australia tend to serve from the front backwards, so the further forward you sit, the soonest you’ll probably be served. 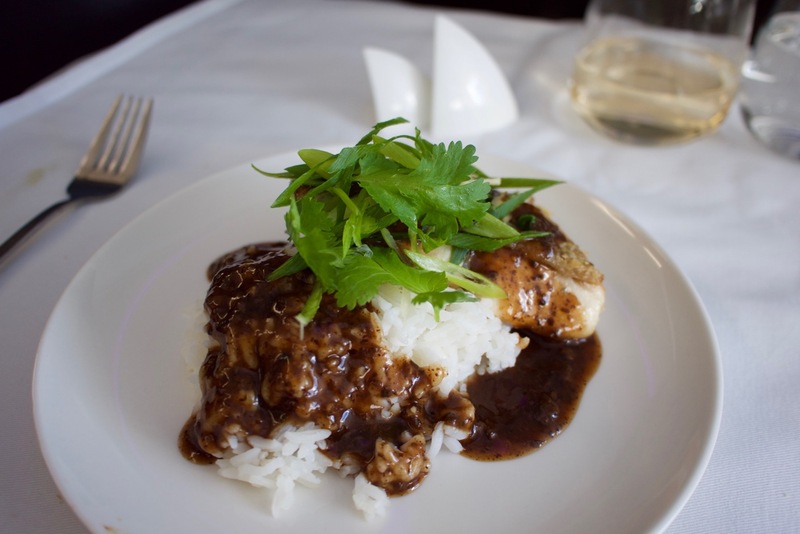 On East-West Coast flights you’ll be served a full meal, either breakfast, lunch or dinner, with a choice of options. 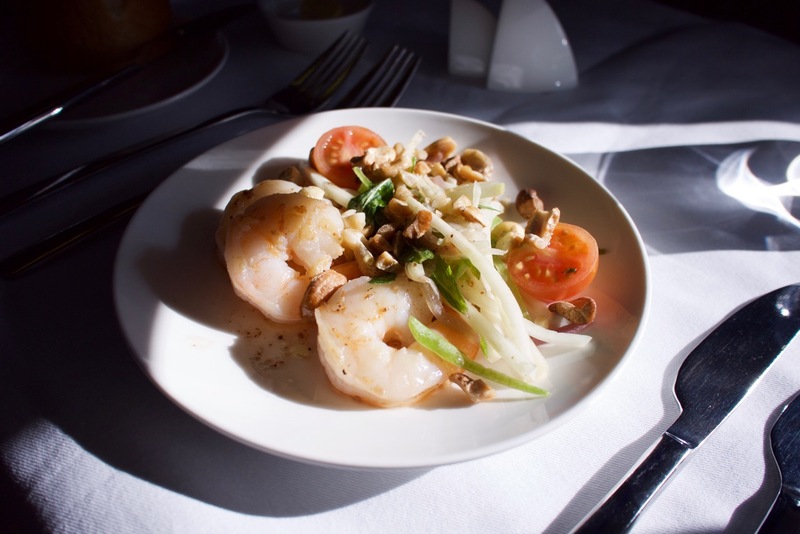 While lunch or dinner services will usually come three courses, plus your choice of wine, beer and spirits. 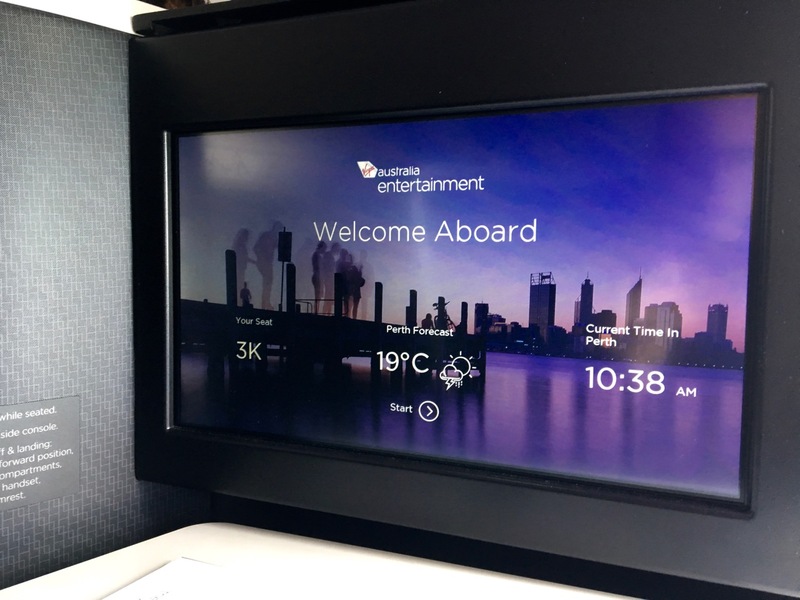 Entertainment is provided in the form of a large touch screen with a decent selection of recent and classic movies. 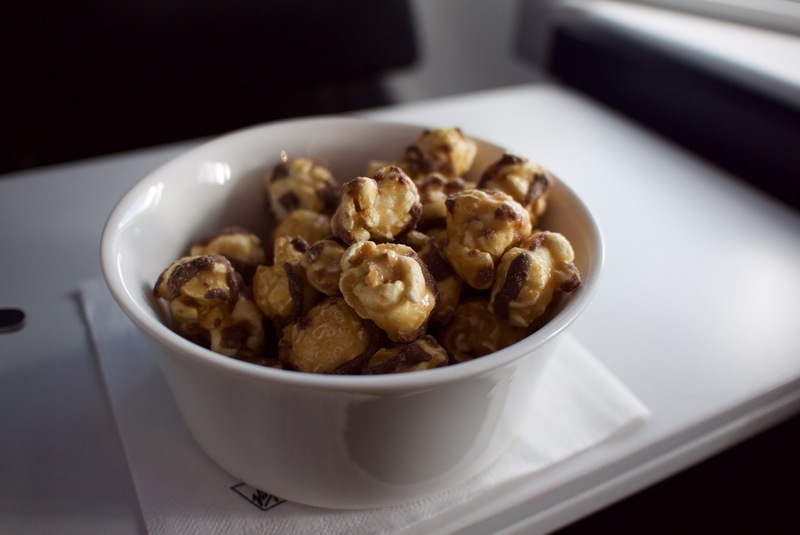 The Movie selection is not vast (I thought the TV on offer was better), but given the A330’s typically operate on flights of 5 hours or less, there’s easily enough choice to see you through a return journey. 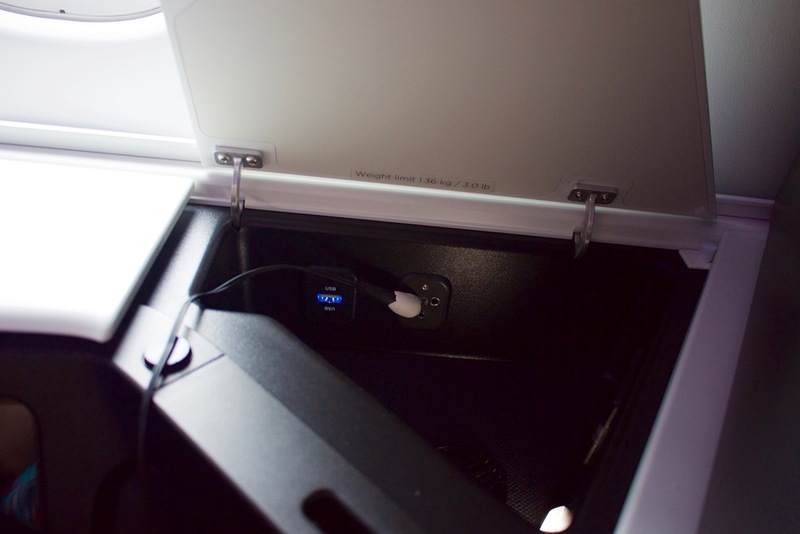 You’ll find your headphones inside the seat’s armrest in a hard-case pack. And no, you can’t take them home. 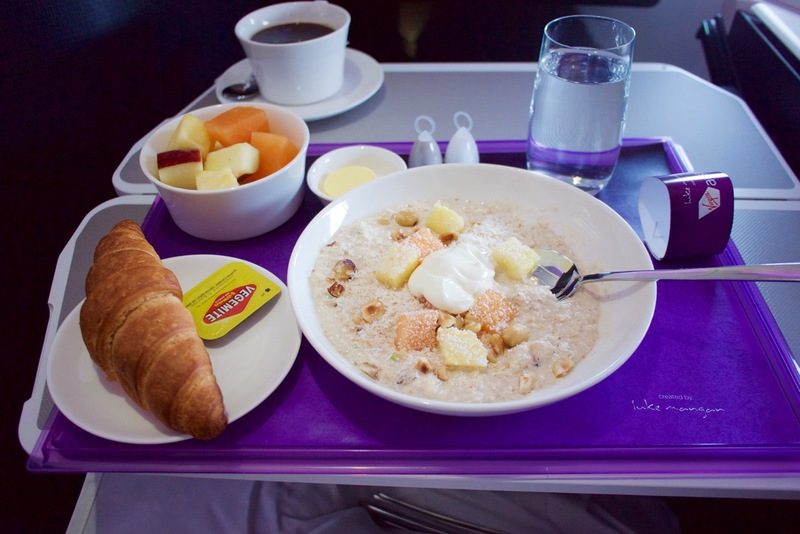 Velocity is the primary redemption option for most Australians using or earning points with Virgin Australia. 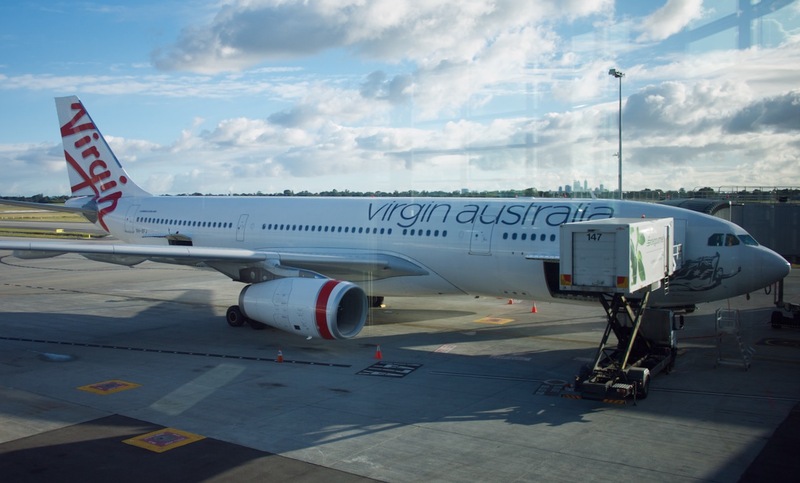 Velocity redemptions for the key A330 routes to/from Perth and the East Coast are 35,500 Velocity points plus a small amount of taxes – typically around $30 and $5.50 in Carrier Charges. 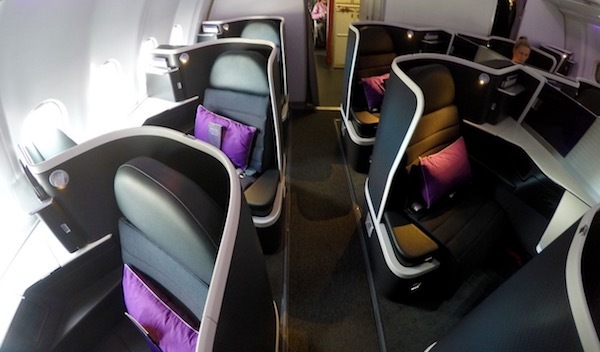 Other key points currencies for redemptions with Virgin Australia are Etihad Guest miles, Singapore Airline KrisFlyer miles, and Virgin America Elevate miles. 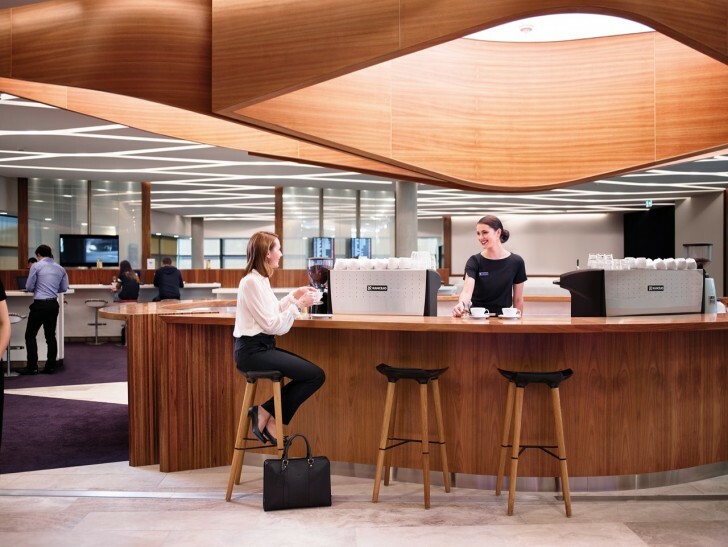 Whether you redeem points, miles or cash for Virgin Australia Business Class, you’ll gain access to Virgin Australia lounges before your flight. 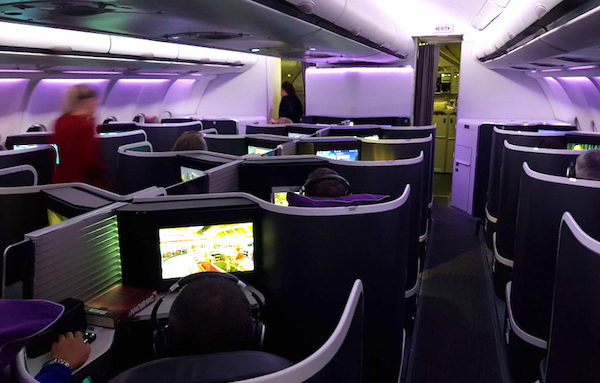 I am big fan of Virgin’s new Business Class – it’s an all-round great experience, and one that’s usually accessible when redeeming Velocity points. The food and service are usually very good, while the seat design means a very high level of privacy and comfort. 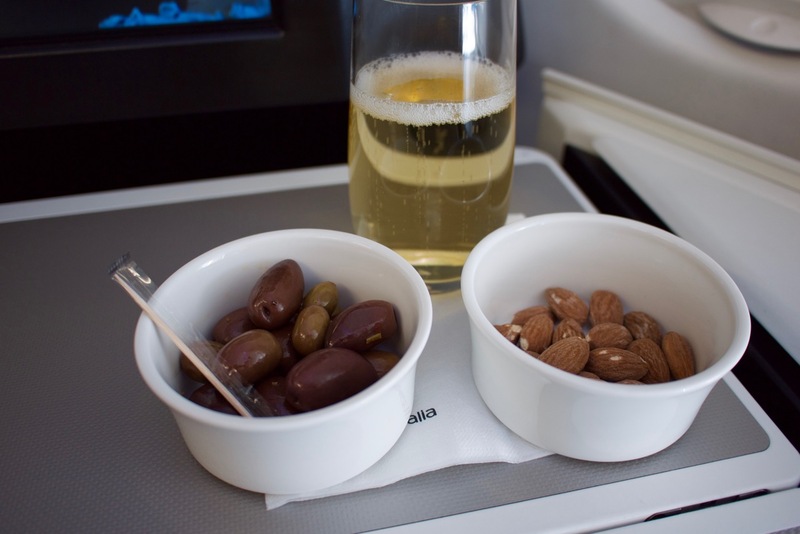 I prefer picking a window seat when travelling by myself, and there’s nothing better than kicking back with a glass of wine, a decent movie and a view out of two windows at 30,000 feet. 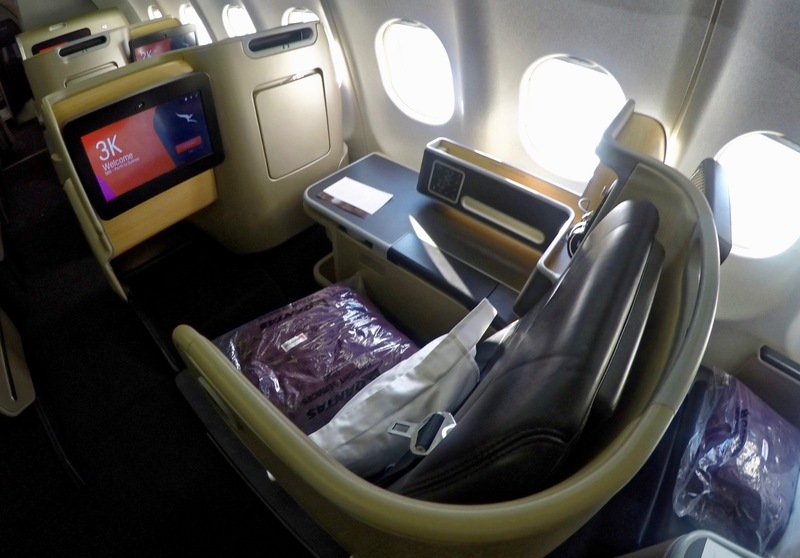 Do you have any great tips or experiences of Virgin’s A330 Business Class you’d like to share? Add them in the comments! I’m booked on an A332 from Perth to Brisbane in April. 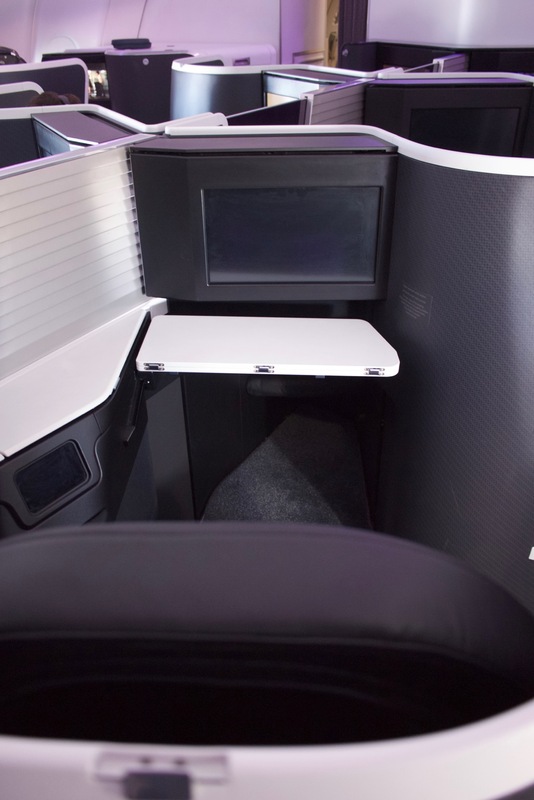 I paid for an Economy seat but can’t figure out if I can upgrade to the Business with points, or even if this plane is the right one to have this option. 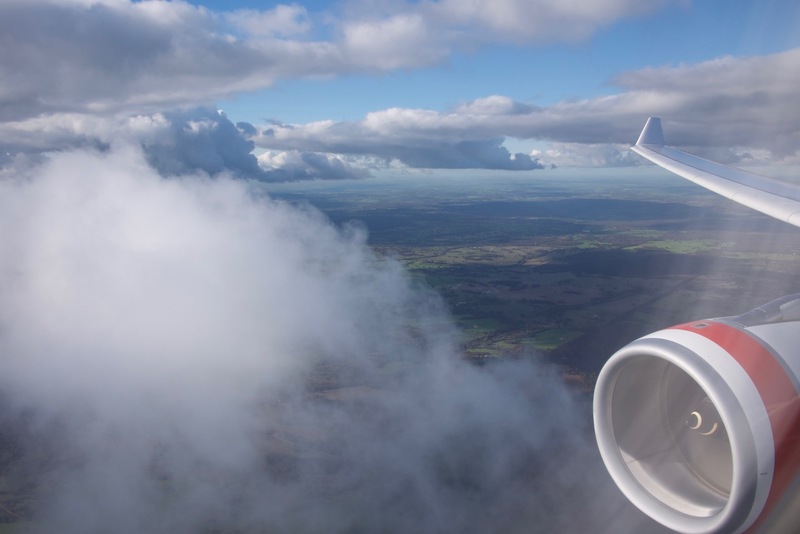 There are A330’s on Sydney – Melbourne, just not every day. I’m on VA800 on 03Jan and its an A330. My only problem with 1 x 2 x 1 configuration is for those who travel with their partner but also want to see out of the window. The paired seats are actually angled away from the windows so there’s almost no view at all. Some airlines like Swiss have single windows on one side and paired windows on the other. Do you know if you can still view the usual VA entertainment through your phone app, like on the 737s? That fixed screen is a long way away if you have poor eyesight. Theta : ) Love mine. Nice to see someone else putting it to good use. Yes, inspired me to get one! My big fear/worry, is that after buying (points or pay) for this flight, to turn up and find that the plane you have that day, is not one of these! Any tips? ANZ launches ANZ Rewards Travel adventures card – full guide coming soon!